'An unapologetic novel of ideas which is also wise, funny and paced like a thriller' - Observer*The magnificent new novel by award-winner Kate Atkinson*In 1940, eighteen-year old Juliet Armstrong is reluctantly recruited into the world of espionage. Sent to an obscure department of MI5 tasked with monitoring the comings and goings of British Fascist sympathisers, she discovers the work to be by turns both tedious and terrifying. But after the war has ended, she presumes the events of those years have been relegated to the past for ever. Ten years later, now a producer at the BBC, Juliet is unexpectedly confronted by figures from her past. A different war is being fought now, on a different battleground, but Juliet finds herself once more under threat. A bill of reckoning is due, and she finally begins to realize that there is no action without consequence. 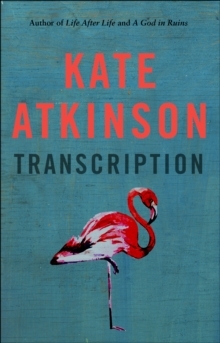 Transcription is a work of rare depth and texture, a bravura modern novel of extraordinary power, wit and empathy.